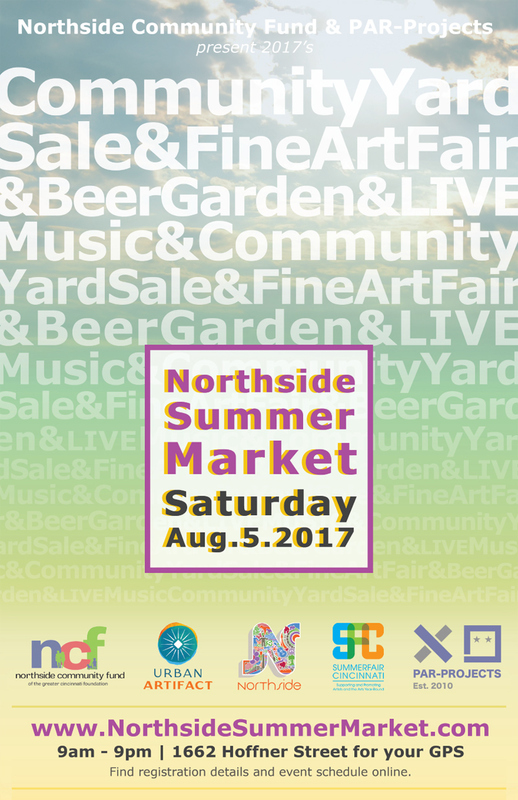 Northside Summer Market // A Community-Wide Yard Sale & Art Fair: The Posters Are Out! Hi Everyone. The posters are out! Thanks again to all of our hosts and sponsors — Northside Community Fund, Urban Artifact, Northside Community Council, Summerfair Cincinnati, and The City of Cincinnati's Neighborhood Support Program. Northside Summer Market would not be able to happen without your support! If interested in printing a few posters, to help us get the word out, just follow the links below! You can also Send Us An Email if you'd like to pick up any flyers or posters from our team. Also, if interested, registration for all components of this event are still open! Art Fair Registration is open until Wednesday, July 19th. 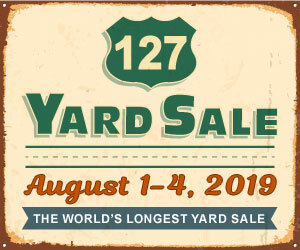 Yard Sale Central Registration is open until Friday, July 28th. Add Your House To The Map until Friday, July 28th as well. Thanks again for helping us grow this community building event! We'll see you Saturday, August 5th!